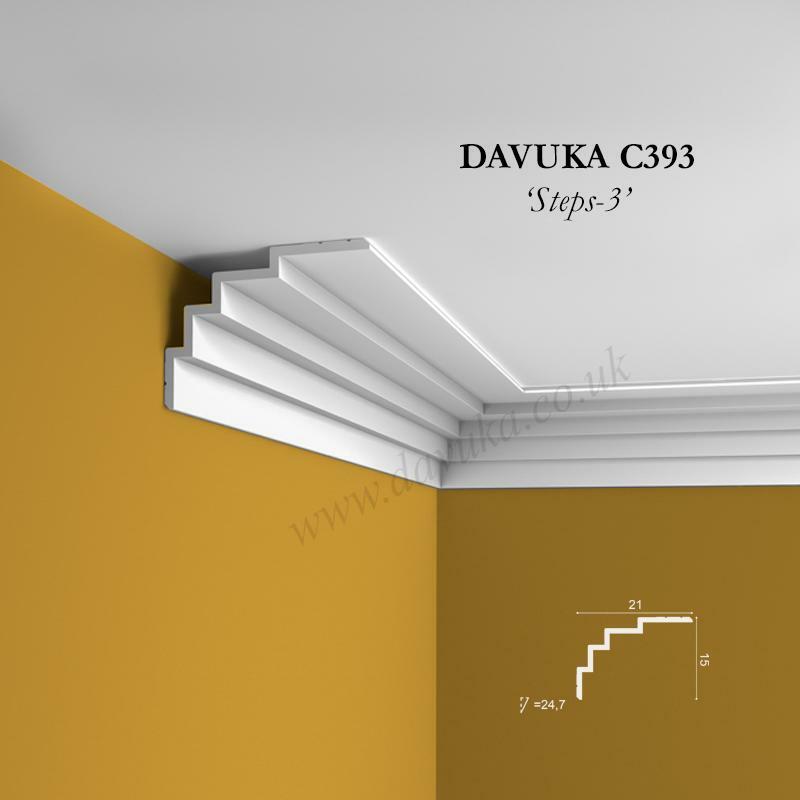 The ‘Ambience’ contemporary modern cornice fits flush on the ceiling, therefore meaning that cutting the corner angles is totally straightforward (only one angle is involved as opposed to 2 with more traditional wall and ceiling fitted coving). 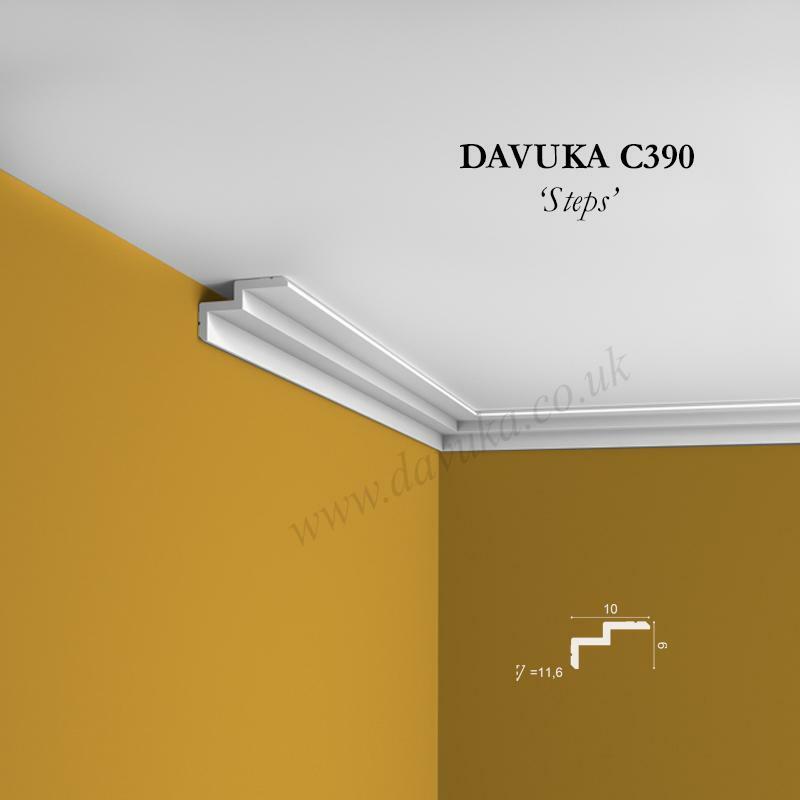 Designed with a recessed ‘shadow line’ at the wall side that creates a wonderful ‘floating’ effect, this is a cornice that looks so effective in a modern environment. 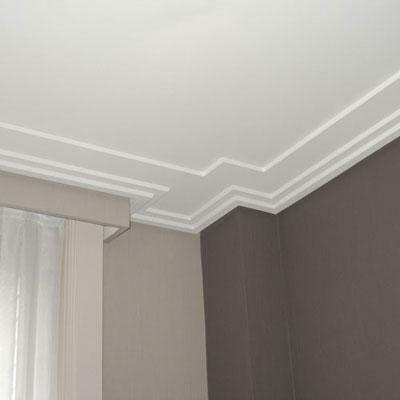 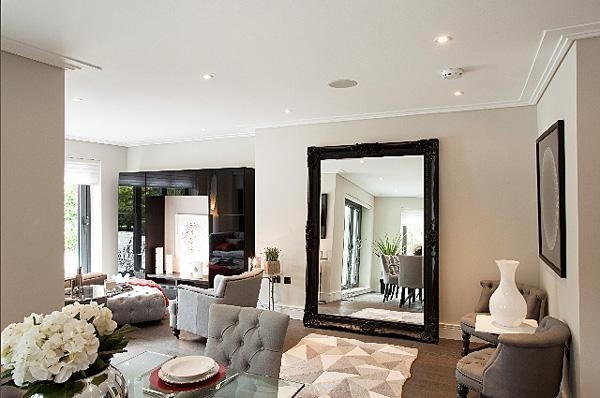 Many of the top interior designers we work with say this is their favourite profile! 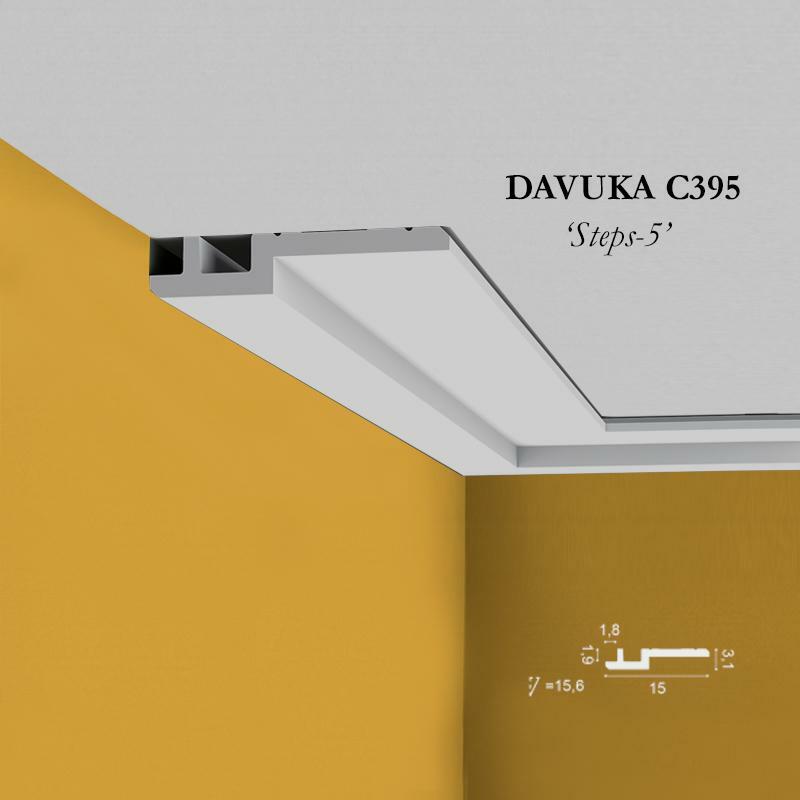 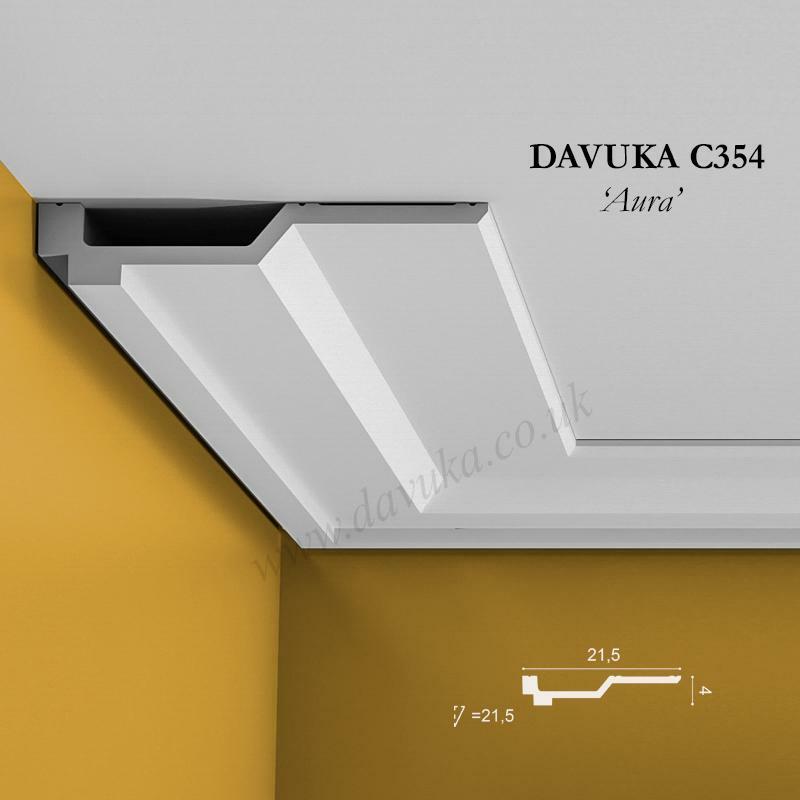 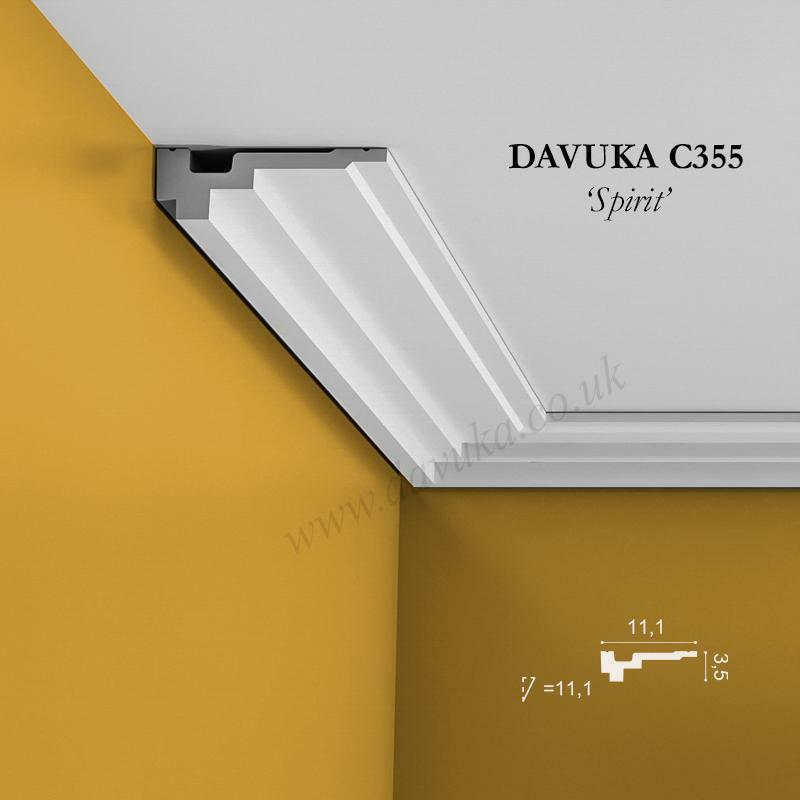 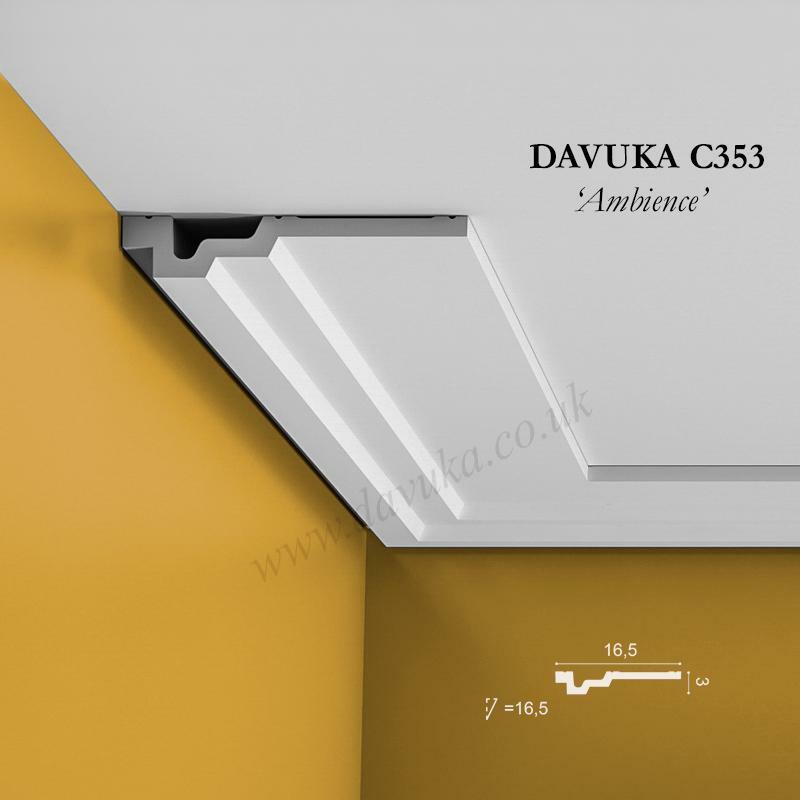 Using Correct Adhesives for the C353 ‘Ambience’ cornice – IMPORTANT!